My brother looked at her questioning and asked why that was. And in that moment my mom had to have the conversation with her youngest child and only son about what safety means for him in this country and day and age. How what he does as a young black male makes all the difference because of the world in which we live in. And I had thought as she spoke to him, what is my 11 year old brother going to do if the police stop him unexpectedly? What is he going to say? Will he know what to say? And then I realized would I know what to say or do? And the realization settled in that, as a black woman in America, to know my rights is to live, and to survive. Educating yourself on your rights, in a day and age and political climate that constantly ignores, negates and denies them, often times feels inaccessible and impossible. But you should never question when you can speak up for yourself. You have every right to speak up and out for yourself, and against injustice. 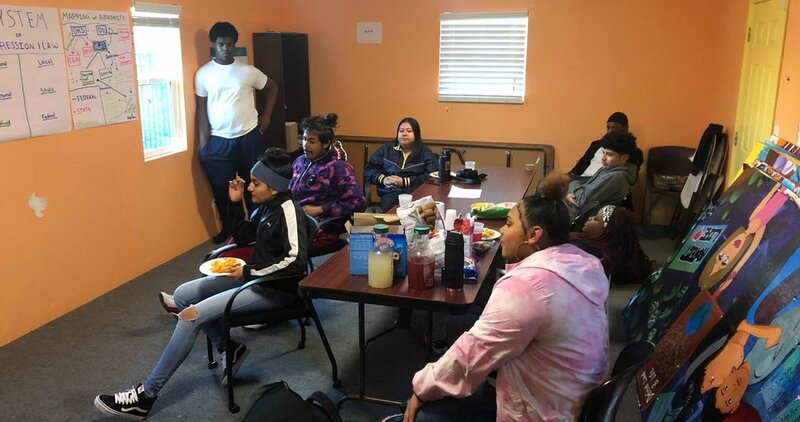 January 2019: RYSE youth organizers facilitate and lead a workshop with their peers on systems of oppression and knowing your rights. I think about how pertinent RYSE is to this matter. 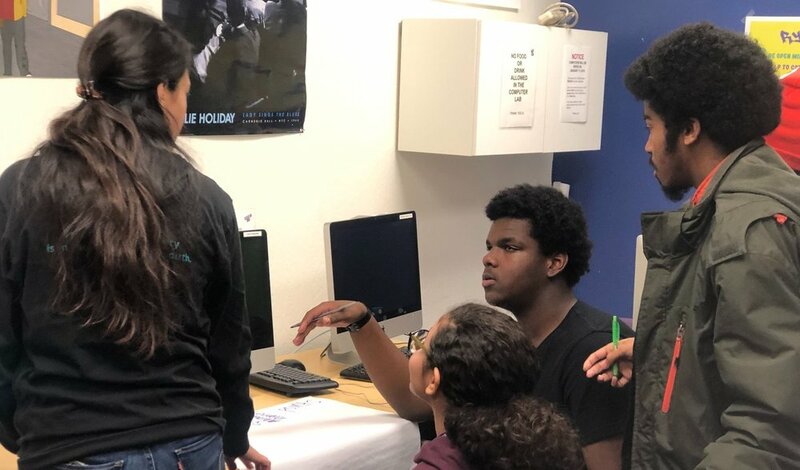 RYSE prioritizes equipping our young folks of color with knowledge of their rights. We understand that this is as important as, if not more, than a primary education. 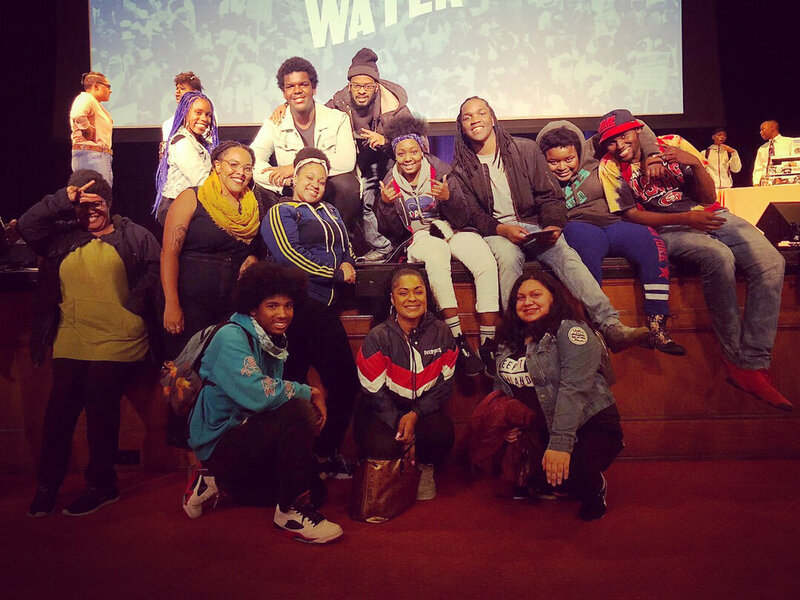 Learn more about how the young people in your life, can join our free, educating and empowering programs here at RYSE. This spring season, we also offer “Education for Liberation” workshops every Tuesday from 4 to 6 PM. For more information, contact our Education Engagement Advocate Deysi Chacon at deysi[at]rysecenter[dot]org. To know your rights is to fight for your life. And I believe firmly that as a community we must know our own rights, and the rights of those around us, as we can collectively work towards the justice our society so desperately needs. Including information on free speech rights for students, youth encounters when stopped by police, knowing your rights about DACA, and more. Including information on educational rights when experiencing homelessness as a youth, student social media rights, transgender student rights at school, and more. Including informational tools and interactive opportunities for immigrants and their families to become full participants in our nation’s democracy. Provides low-income clients with free civil legal assistance, including legal advice and counsel, effective referrals, and legal representation. The largest civil legal aid provider serving seven Bay Area counties: Alameda, Contra Costa, Marin, Napa, San Francisco, San Mateo, and Santa Clara. For more resources, visit our page here. 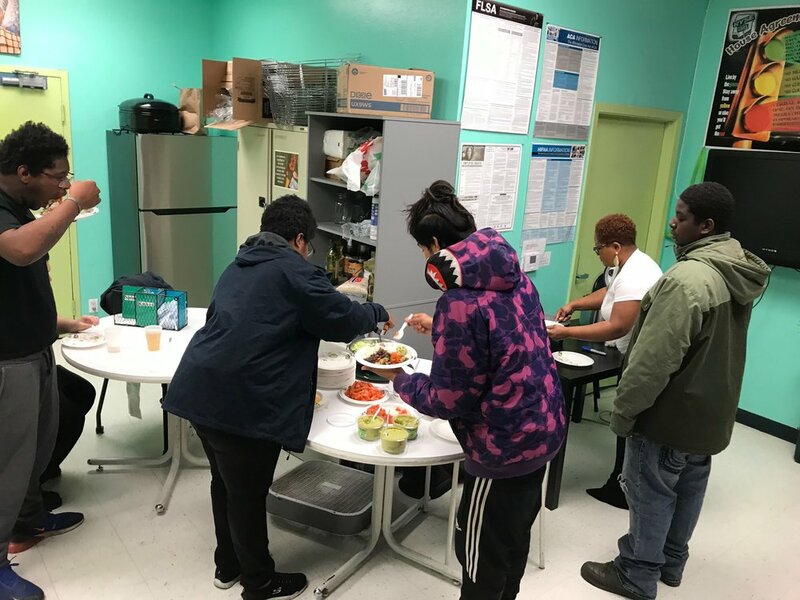 This month, RYSE youth organized youth-led workshops on systems of oppression and knowing your rights; led pop-up video production workshops; traveled and participated in a youth organizing retreat; cooked and enjoyed delicious food during our Tasty Tuesday cooking classes; and more. 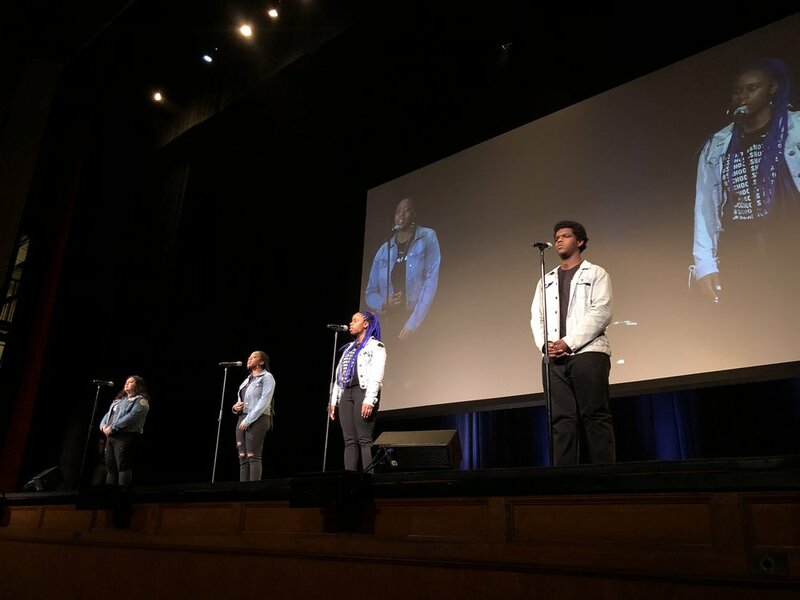 Our youth poets performed their original works live at both Raise the Bay: In Her Voice at the UC Theatre and Youth Speak’s Bringing the Noise for Dr. Martin Luther King Jr. at the Nourse Theater. 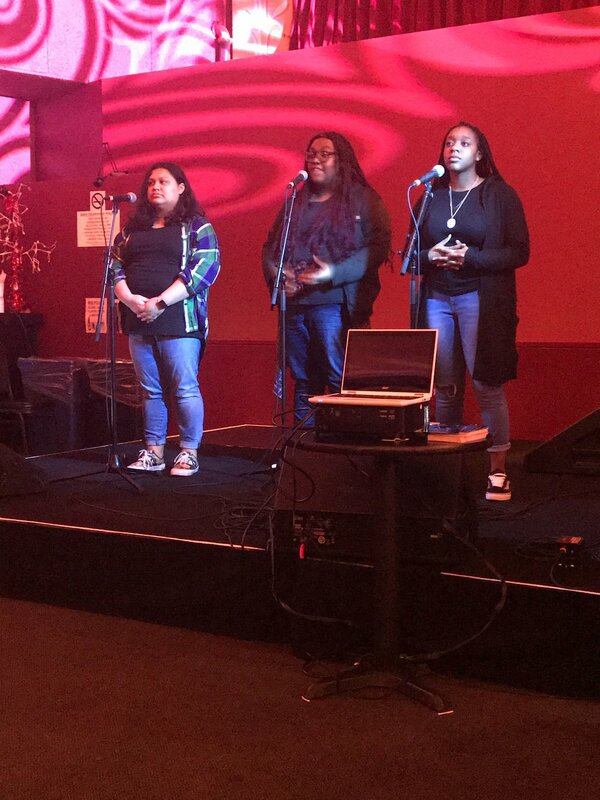 This FREE event kicks off Black History Month at RYSE and will feature a youth open mic for ages 13-21, a live performance by Donté Clark, and a panel discussion with Black Artists and Entrepreneurs from the Bay Area. Light refreshments will be served. This a community event open to all ages with RSVP. Your favorite fundraiser event, RYSE’s annual Be A Kid is back, and we’re taking it bigger and brighter! Prepare to Glow the Funk Up this Friday, April 12th, 2019 from 6 - 10 PM. Pre-sale tickets will be announced soon, so stay tuned!